On Friday, 15 December 2017, the Human Health Organization (HHO) in collaboration with the Permanent Mission of the Republic of Paraguay to the United Nations will organize the workshop “Healthy Cities – Cities of Tomorrow”, in support of the New Urban Agenda and the 2030 Agenda for Sustainable Development (Goals 11, 3, 17). The event will be held at UN Headquarters. Representatives of the UN Member States, UN system organizations, academia, private sector, and NGOs will convene to discuss the ways of promoting and realizing sustainable urban development, as agreed upon in the New Urban Agenda (2016), share experiences and depict challenges in building new cities, explore opportunities in creating multi-stakeholder partnerships in support of healthy cities. Participants will be invited to address specific topics related to the Sustainable Development Goals 11 (Sustainable cities and communities), 3 (Good health and well-being), and 17 (Partnerships to achieve the goals). Organizers and supporters plan to have presentations and interventions on governmental plans of designing new cities, past experiences of building new settlements and moving people to new places, learn from international standards and agreements in the area of health, well-being and urban development, hear about researches on the relationship between health and urban development, describe environmental challenges and identify solutions to current and new human settlements, listen to the private sector considerations on investing in and developing new cities. The Human Health Organization will present the HHO Healthy Cities Initiative and convey its views on building healthy cities for the advancement of health and well-being for all. The workshop will launch a series of events dedicated to healthy cities to be organized by HHO in collaboration with civil society, governments, academia and private sector. 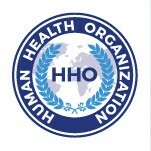 Established in California, USA, in 2013, the Human Health Organization is a nongovernmental, non-profit 501(c)(3) organization that is committed to promoting health education and academic research, advancing health culture, cultivating good nutrition and healthy lifestyles, and facilitating the development of healthy and sustainable human settlements though public-private and multi-stakeholder partnerships. HHO goals are aligned with the targets of the 2030 Agenda for Sustainable Development; they complement the efforts of national authorities and civil society, follow activities of the United Nations, WHO, UN-Habitat and are focused on health and well-being of all people.